Let me handle the web so you can focus on your business. Hi there! I'm Dee and my job is to make the web a little less scary and a lot more profitable for for busy Business Owners & Freelancers like you. Get the answers your business needs without wasting all of your resources on trial and error. Learn how to build/manage your own website without doing any coding or programming. Let's build a site that effectively conveys your brand's value to the right people—on the right devices. Keep your data backed up and your software updated so you can focus on what's really important. 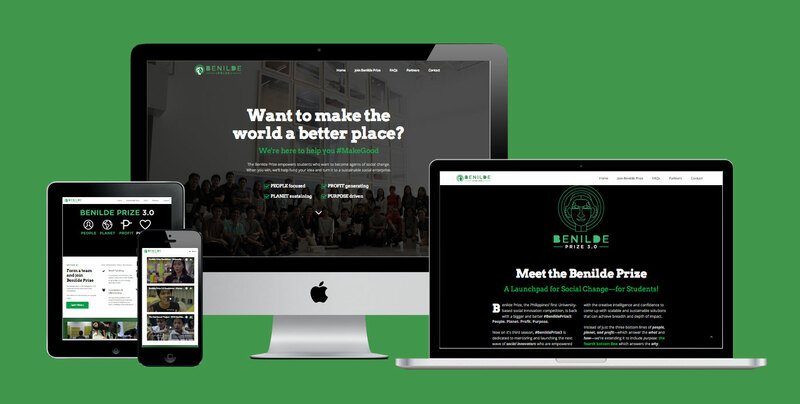 The De La Salle-College of Saint Benilde wanted to help launch the next wave of social innovators by running the Benilde Prize—the Philippines’ first university-based social innovation competition. Together we built a modern digital presence, an open online course, and facilitated the nationwide program whose winners are awarded the seed funding, mentoring, and partnerships needed to bring their social innovation ideas to life. 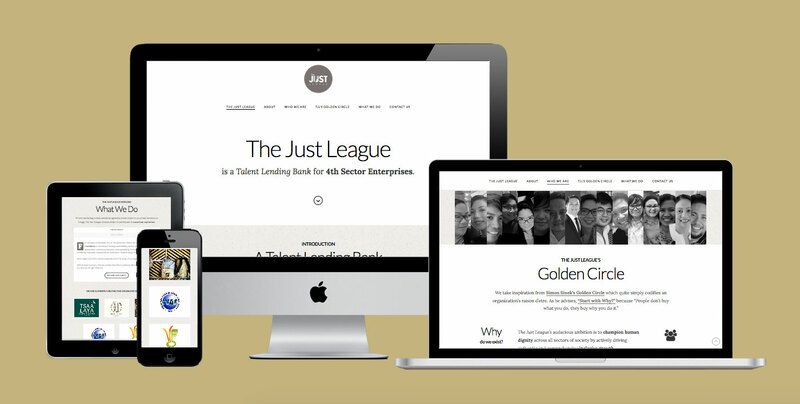 The Just League helps expedite the robust growth and sustainability of the 4th sector—the emerging hybrid business sector that aims to deliver on a triple bottomline of People, Planet and Profit. I was honored by their invitation to jump on board and together we built a digital home for their cause and team of Just League agents to articulate their message over the wide web. 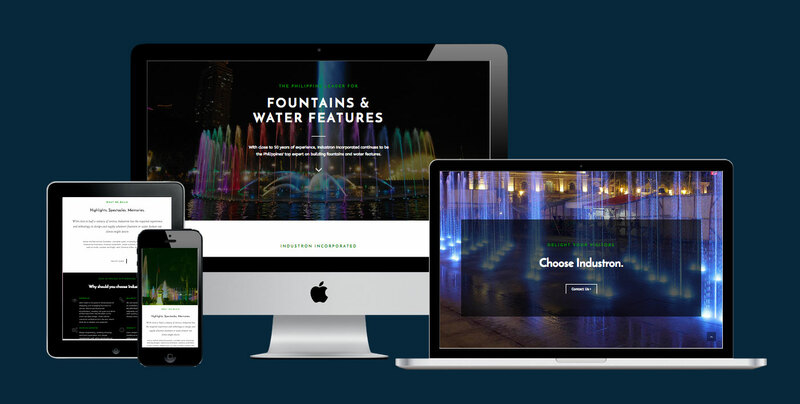 Industron, Inc. is responsible for the spectacular fountains and water features featured all around the Philippines. Their exceptional work has shaped and been a part of countless Filipino memories spanning generations. Together we worked to give their online presence a fresher take and a clearer depiction of the top tier quality that their brand brings to the Filipino experience. 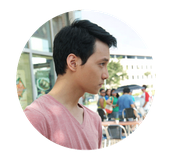 I’m Dee and I use Human-Centered Design to build better websites for SMEs & freelance artists. Sapalo.com © 2019. All Rights Reserved.